Superstar Rajinikanth said on Tuesday that late legendary composer M.S. Viswanathan has played a prominent role in the success of Tamil cinema doyens like M.G. Ramachandran (MGR) and Sivaji Ganeshan. "You will rarely find someone like MSV in any industry. He lived life like a selfless saint, free from jealousy and lies. He was behind the success of legends like MGR and Sivaji," Rajinikanth told reporters here. Rajinikanth was among many celebrities who paid their last respects to Viswanathan, popularly known as MSV, who passed away at a private hospital on Tuesday. "If not for MSV, the careers of filmmaker Balachander, lyricists Vaali and Kannadasan wouldn't have tasted huge success. May his soul rest in peace," he said. MSV, 87, dieed due to age-related issues and breathing problem. In his illustrious career lasting over four decades, he composed music for over 750 southern films, mostly Tamil. As a mark of respect, the Film Employees Federation of South India (FEFSI) has announced in an official statement that all film-related activities in Tamil filmdomon Wednesday stand cancelled. His last rites will be performed on Wednesday. 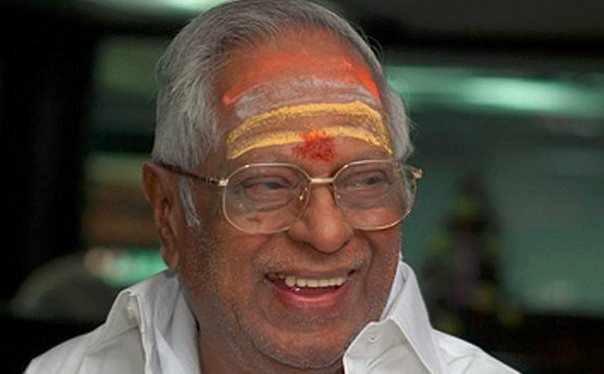 MSV was popular for his collaboration with fellow composer T.K. Ramamurrthy. The duo composed music for 86 Tamil films during their association of over a decade. Having started composing together in 1952, they split in 1965. Some of their best films include "Paasamalar", "Sumaithaangi", "Server Sundaram", "Aayirathil Oruvan" and "Enga Veetu Pillai". Post the separation, MSV went on to become more successful. Viswanathan's solo hits include "Bama Vijayam", "Galatta Kalyanam", "Deivamagan", "Moondru Dheivangal", "Rickshawkaran", "Bharatha Vilas" and "Ulagam Sutrum Valiban". Popularly known as 'king of light music' (Mellisai Mannar), Vishwanathan also worked in Malayalam films such as "Manthrakodi", "Babu Mon", "Ullasa Yathra" and "Amme Anupame". In Telugu, his compositions include "Tenali Ramakrishna", "Anthuleni Katha", "Idhi Katha Kaadu", "Aakali Rajyam" and "Maro Charitra". MSV and legendary filmmaker K. Balachander combination produced several evergreen classics. Viswanathan's wife Janaki passed away in 2012. A year later, his best friend and composer T.K. Ramamurthy breathed his last. He was a recipient of Kalamamani and several other music awards. MSV is survived by four sons and three daughters.